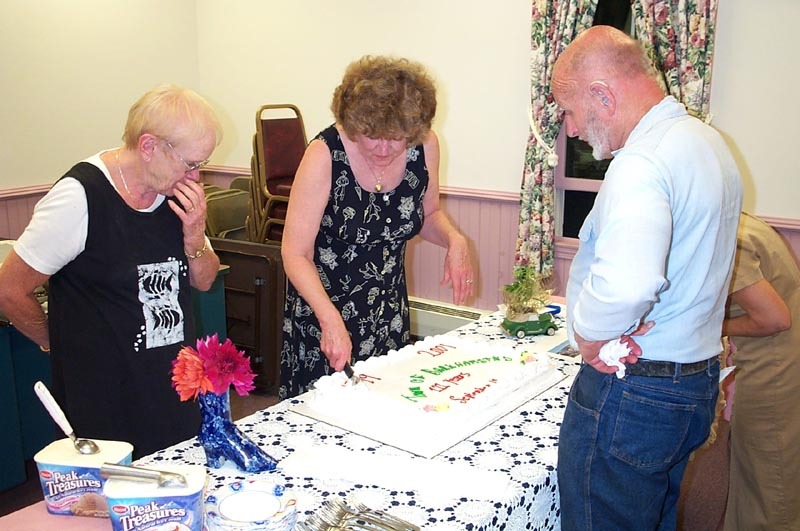 The Barkhamsted Historical Society held its annual meeting Monday, September 10, 2001 at the Senior Center on West River Road. Barkhamsted's birthday is celebrated on September 10- what a coincidence! About 20 members attended and after a short business meeting and annual report to the members we enjoyed a program by Walt Landgraf covering the Squires Tavern. Annual Meeting photo- Historical Society President Sharon Lynes cuts the towns birthday cake in celebration of the 222nd anniversary of Barkhamsted's incorporation. 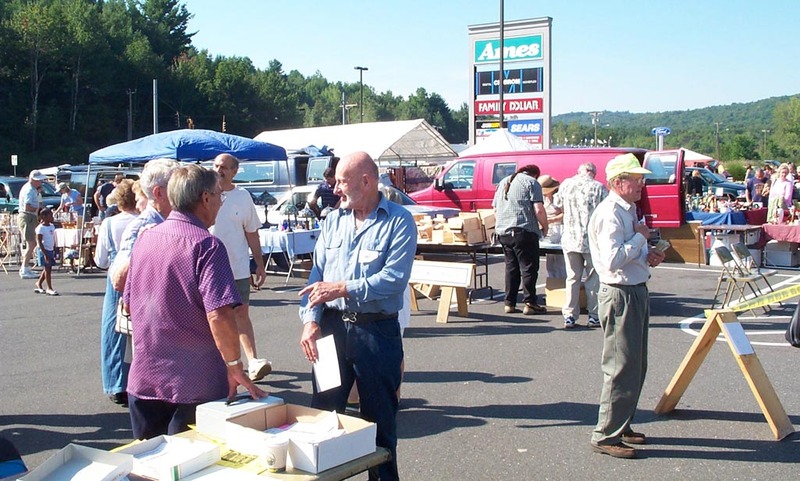 The Barkhamsted Historical Society sponsored a flea market fundraising event at Mallory Brook Plaza (sometimes called "Ames Plaza"- located on Route 44) in the parking lot near Ames. It was held on Saturday, September 8, 2001 from 9 a.m. to 2 p.m. and we were very pleased with how the day went. In one day we raised more funds from admissions and vendor fees than we raised in any of our combined three day events held in past years. Photo- Tag sale fundraising event for the Historical Society at Ames Plaza on September 8, 2001.